Fixed bowl spiral mixer withone motor. Two speeds, one-way bowl rotation,belt transmissions, manual controls orautomatic version with electronic timers.Available with single-phase motorand inverter. The central part of the bowl is raised androunded in order to increase the robustnessof the bowl, to improve dough quality and toreduce mixing times. 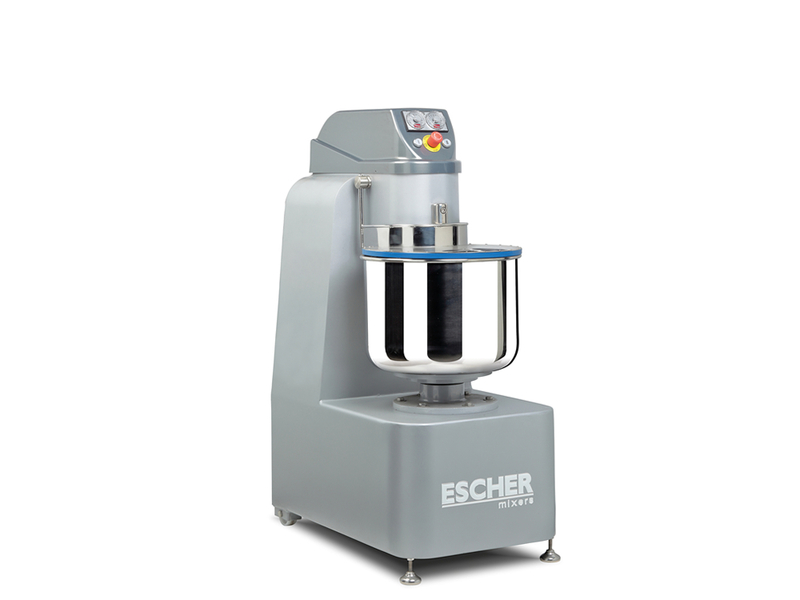 Silent and reliable mixer, designed foran intense use, it can satisfy the dailyproduction needs of a small-medium bakery,a pizzeria or a Supermarket. Optional stainless steel finish, variablespeed with inverter, independent bowltransmission.